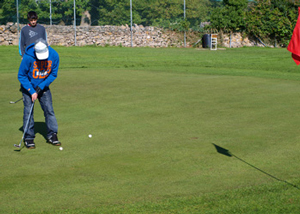 In the early 1940's, the Irish Tourist Association sent representatives to Cork to inspect the pitch & putt courses there, with a view to developing the sport at seaside and other resorts (which they quickly did at Tramore and Killarney). Politicians spoke glowingly of the sports potential, owing to the small amount of land necessary for a course and that the game was in reach of the average citizen's pocket. In Cork at the inaugural meeting in December 1944, there was a long discussion on the best formula to foster and promote the game not only in Cork city and county but throughout the whole country. 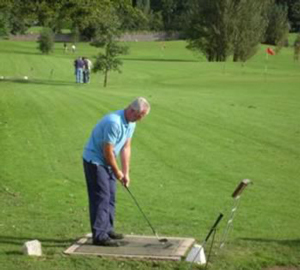 the Irish Amateur Pitch and Putt Union was founded under the presidency of W.A. Collins. The unions headquarters were in Cork. A constitution was drawn up and the rules were drafted with arrangements made to run competitions. The foundation laid was sound - the constitution and rules are substantially the same today. Two of the cups that were presented to the fledgling union- The Day Cup (for the pitch and putt championship of Ireland) and the Elvery cup (for the ladies pitch and putt championship of Ireland) are still played for in the modern day PPUI (Pitch & Putt Union of Ireland). Men's' and Ladies' Championships of Ireland were played in 1946. The founders of the game were looking forward to the future , even if they only had a few clubs to represent at the time. W.A. Collins moved to Dublin and his influence led to courses springing up on the east coast. The first course in Leinster was Ferrard, near Baltray golf club in co. Louth. the game grew rapidly from there and spread to the rest of the country. The game is now played all over the world as far afield as Australia with International matches taking place yearly with teams from England, France and Spain to name but a few.